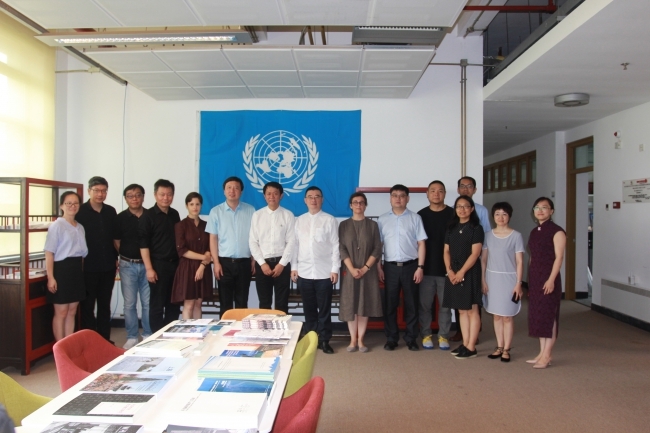 On 6th August 10:40, Chen Jie, Presidentof Tongji University paid a visit to WHITRAP Shanghai accompanied by Ni Ying, Director of the President`s Office of Tongji University, Li Zhenning, Deanof College of Architecture and Urban Planning, Tongji University, the Vice Deans of the Collage Sun Tongyu, Zhang Shangwu, Li Xiangning and Wang Xiaoqing, the Deputy Secretary of Party Committee. 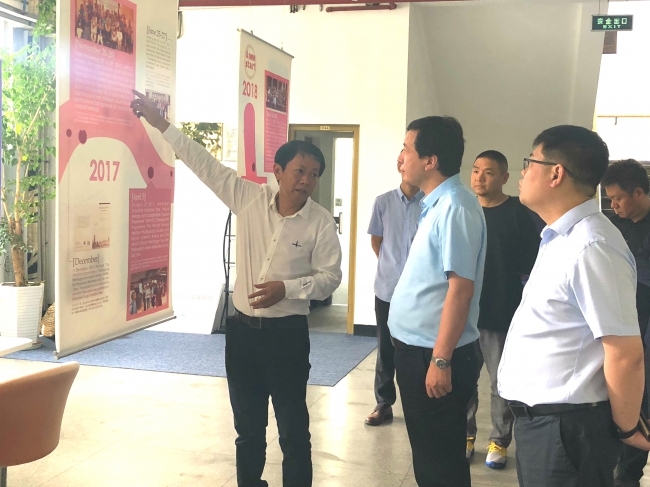 Zhou Jian, Secretary General of WHITRAP Secretariat and Director of WHITRAP Shanghai Li Xin, Deputy Secretary General of WHITRAP Secretariat, Project Director Marie Noel Tournoux and Programme Specialist Liu Zhen received and met with the visitors. 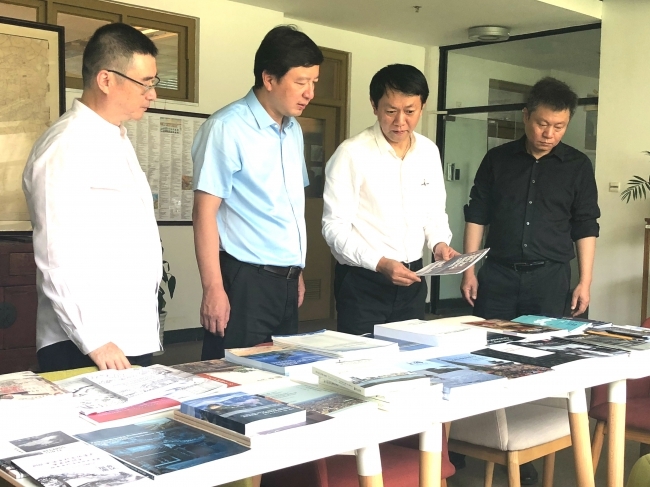 Director Zhou Jian briefed on the key projects and major activities carried out by WHITRAP Shanghai from 2016 to 2018, and introduced the academic publications edited and translated by WHITRAP Shanghai recent years. Born in Fujian province in 1965, Mr. Chen Jie is a professor, a doctoral supervisor and an Academician of the Chinese Academy of Engineering. He gained his Bachelor, Master and Doctor degrees in Beijing Institute of Technology in 1986, 1996 and 2001. He was assigned as the head of the Automatic Control Department, Party Secretary of the School of Information Science and Technology, Director of the Science and Technology Department, the Executive Vice Director of the Institute of Science and Technology and the Assistant to the University President. In April, 2014, Chen Jie became a member of the Party Standing Committee of Beijing Institute of Technology, and the Vice President of the University. On 27th November, 2017, Chen Jie was elected as academician of the Chinese Academy of Engineering and in July, 2018 assigned as President of Tongji University.